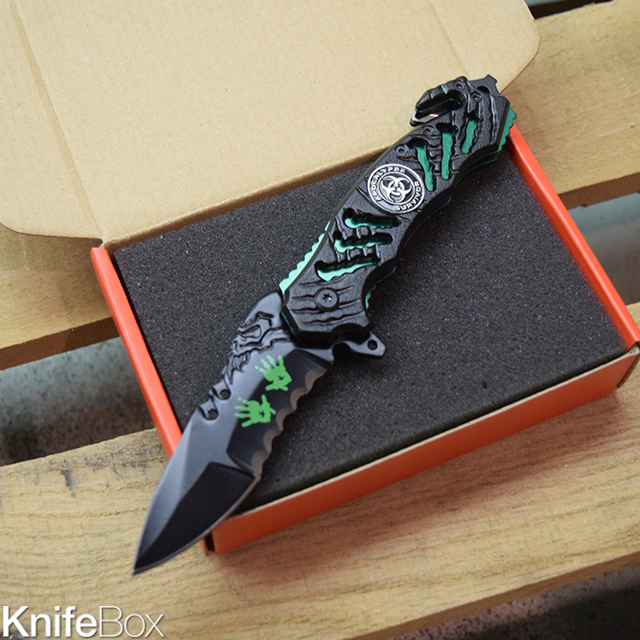 KnifeBox Zombie Hunter EDC Spring Assisted Folding Knife :: The black finish partially serrated stainless steel blade has silk printed Zombie blood hands on it. The 3.5" spring loaded blade quickly engages so your always prepared for battle! This EDC knife is also equipped with a belt cutter and glass breaker.